According to Darren Miles, a professional photographer in Naples, FL, "Wedding photographers' skills are honed and developed over years of training and experience. Experienced photographers understand lighting, composition, post processing, communication, workflow and organization. Ultimately, their skill level and experience will be the difference between a bunch of images that would otherwise be hard to differentiate from a point and shoot camera and photographic heirlooms that take your breath away and last a lifetime." Different photographers have different styles, so make sure you choose one that offers what you want. Wedding photography is trending away from the traditional "posed" images and has migrated to more of a photo-journalistic story telling style. There is definitely a place for traditional style images, however, so make sure you review each photographers portfolio (view an entire wedding) and ensure that the style he/she uses reflects your personal preferences. Ask each photographer for references, and ask if you can actually speak with recent brides whose wedding they photographed. Some photographers charge by the hour. Most wedding photographers will have set packages available, with options to add extra time or services by the hour. Make sure you understand the fees and make sure you have them in writing. Plan to allow any where from 10%-30% of your budget on wedding photography. Consider How You "Feel" Around the PhotographerAs important as the skill of the photographer, is the way you feel when you are around him/her. You will be spending a lot of time with this person on your wedding day ... up close and personal! Having someone that makes you feel comfortable and relaxed naturally will have an impact on how your images turn out and how you look in them. Most photographers have a list of "must have" shots for a wedding, but theirs may not match yours. 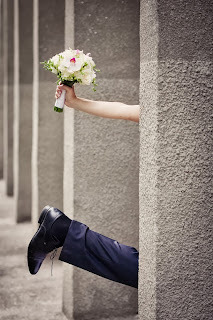 Create a list of the must have images from your wedding and provide it to your photographer ahead of time. Photographers know the obvious shots, but they may not know you have four generations of women at your wedding (Great-Grandma, Grandma, Mom, and you). You'll want a photograph of the four of you for sure! 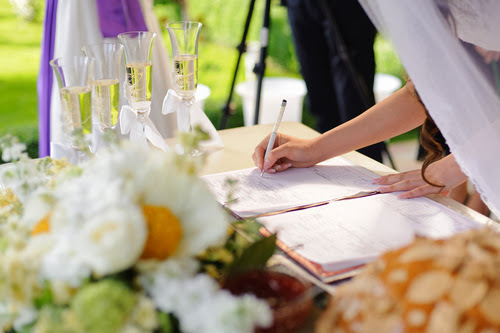 Is a photo of you signing the marriage license important? You only get one shot at it, so let your photographer know! Think about extended family members, groups of friends, pets and settings you may want to include, as well. Is signing the marriage license a "must have" photo? You only get one shot, so let your photographer know! Ask this question ahead of time so you are on the same page. You'll also want to find out how the proofs are shared. Will there be a link available to send out to family and friends to review proofs, as well? Most wedding photographers provide this, but never assume. Always ask. Ask if there is a Back-Up PlanNo one plans to be ill or have a family emergency but it happens. Don't be left in a lurch. Find out if there is a back up photographer(s) available on stand by or how that situation would be handled. Also find out if there a cancellation policy, in the event you have an emergency of your own. Again, make sure these policies are provided in writing. Share these with parents and anyone else who may want to order prints from the wedding. Save money by ordering all together. Make Sure You Have a Signed Contract Make sure you know exactly what you're getting and make sure it's ALL in the contract. This should include things like the number images included in your package, how many hours of photography are included, extra fees for additional time or additional photographers, specifically WHO will be the actual photographer at your wedding, and the photographers arrival time, date, and location. Take nothing for granted and leave nothing to chance. Make sure everything is in the contract. 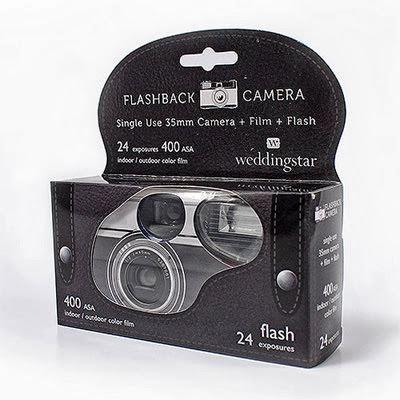 In addition to the professional photos, having disposable wedding cameras sitting around on tables is a fun idea! Guests taking candid shots often offers some of the best pics you will end up with. The advantage to putting these out on the tables is that the images will be YOURS. You don't have to rely on guests to send you the images from their phones or personal cameras. After the wedding, this tends to be a low priority for them and almost never happens. Assign someone from the wedding party to drop the disposable wedding cameras off at Walgreens, CVS, or your local drug store and get the images put on a disc. When you get back from your honeymoon, these will be a BLAST to share and we guarantee you'll get some photos you would NEVER expect! Make Your Mementos Picture Perfect! 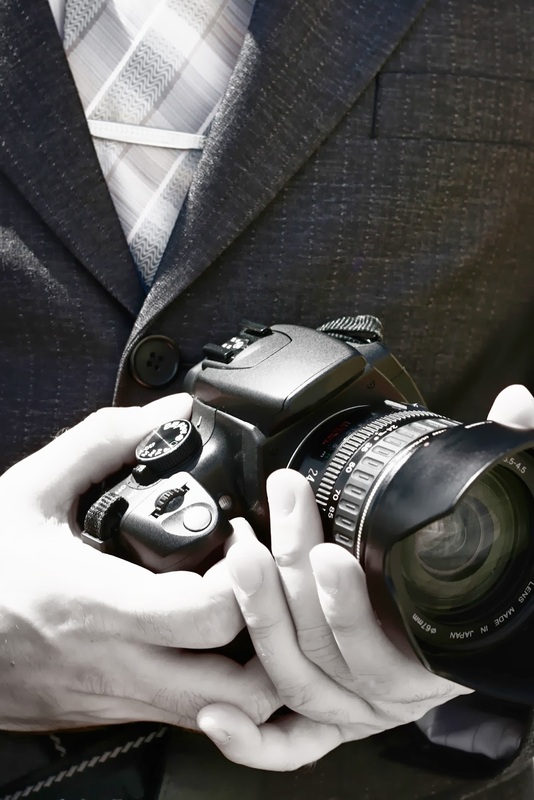 The photography at your wedding is one of the most important aspects of the day. The day itself will be a whirlwind for you, so you want to select the BEST photographer to capture it all. Take our 10 suggestions for selecting the RIGHT photographer and you'll be well on your way to finding the best fit for your wedding, style, and budget. Best of luck to you in planning your special day! I absolutely agree with the idea of asking for references. It would be a great way to know how reliable they are if you would be able to speak with those people whom he/she had worked with. Those clients he/she had worked first-hand could really tell you how a certain photographer work.